I am going to be completely honest with you all – with why I started this retreat and why it is different than any workshop you have been to. When I see workshop I see, shooting all day with learning from amazing people while surrounded by amazing creatives. What I see when I see retreat? Relaxation, shooting and learning from amazing people while surrounded by amazing creatives eager to learn more. What is the difference? Along with shooting, there will be relaxation, good food, amazing conversation and learning from amazing people! How did this first get started? One day while chatting over a bottle of wine with a dear friend who is also a photographer we talked about how great it would be to have get away with other photographers where you could learn, network and relax. LIGHT BULB! This is when The Rad Photographers Retreat was born. A retreat unlike any other – a retreat is set at a time we are stress out after the holiday’s , tax time is looming and the beginning of the busy summer season is right around the corner. 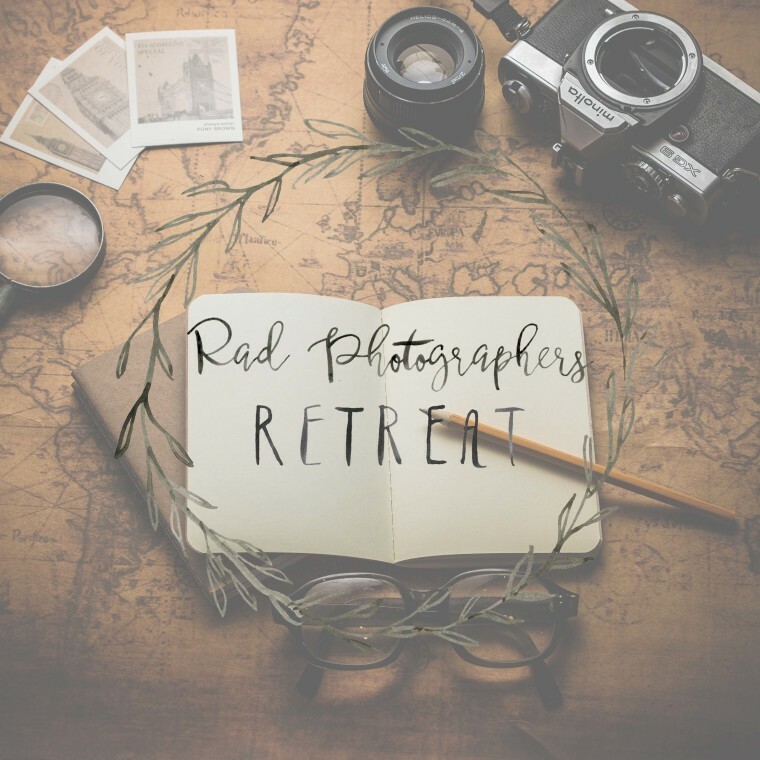 You may have seen some sneak peeks on Instagram, but here’s the scoop: select vendors Laura Zastrow, With Grace & Gold, Elevate Events and I have combined our incredible talents to design and host a 3-day retreat for photographers, it is even better than we could have imagined. The retreat is going to be set in the little town of Waupaca – location that some come from all over to relax in the cool waters of the Chain O’Lakes during the warm summer nights. The winter is bustling with snowmobiles, hockey and curling. And soon to be amazing woman ready to take on the world! What is going to happen at this amazingly rad retreat? There will be awesome speakers talking about marketing, client connections, and lighting. But this speakers will not be talking at you while you take notes, it will be an open and relaxing discussion where you are free to ask a question at any time. This sessions will not be timed, and may continued through into lunch and dinner. Are you feeling stressed, overdue for a vacation or just want to get away to someplace where you are surrounded by amazing woman. Are you a stressed out Mom that needs time away from the little’s and husband to refresh. Are some of your favorite things to do is get together with your other photographer friends and learn from each other while venting about things that they will only understand. a retreat to breath, refresh and grow together!